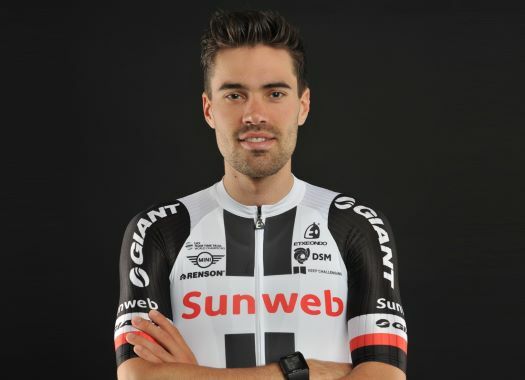 Tom Dumoulin survived the fourth stage of the Giro d'Italia without trouble but was disappointed as he couldn't compete for the stage victory in Caltagirone. The defending Giro champion thought he could be in the mix for the win but made a mistake in the finale and ended up chasing those in front. "I had to brake hard at about 500 meters from the line. It was my own fault, I should have been tougher and stay out of the wind. Now I was held up by the pack. That was a shame, but for the GC it was fine. I would have liked to sprint for the win though," he told Dutch broadcaster NOS. "I'm a bit disappointed, although I know that it would be very hard for me anyway against a Wellens in form. But at least I would have been there, and now I wasn't." Froome was seen crossing the finish line about ten seconds after Dumoulin. There appeared to be some small splits as well, and for the Dutchman the only right solution would be to count those seconds. "It would be fair if they count the time difference. Ten seconds is a lot of time to lose in about 500 meters. It would be silly if he got the same time." Nevertheless, Dumoulin does not think that this is an indication of Froome's shape ahead of the more difficult climbing stages. "I know that this kind of arrival suits me well, as GC rider, and they don't really suit Froome. So it doesn't mean much yet," he said. Dumoulin was outspoken about the Giro's escapade to Israel, and is happy to have returned to more familiar grounds. "It was nice. I'm really happy to be back in Italy, it's nice here."